This garden design allows a lot of sun shine and fresh air to come in and provides ample light for some reading activities. Since there is a garden atmosphere with all those lovely greens, this outdoor space provides a better place for entertainment, as well. How about having some coffee and cakes with your friends while chatting or perhaps discussing some business ideas? 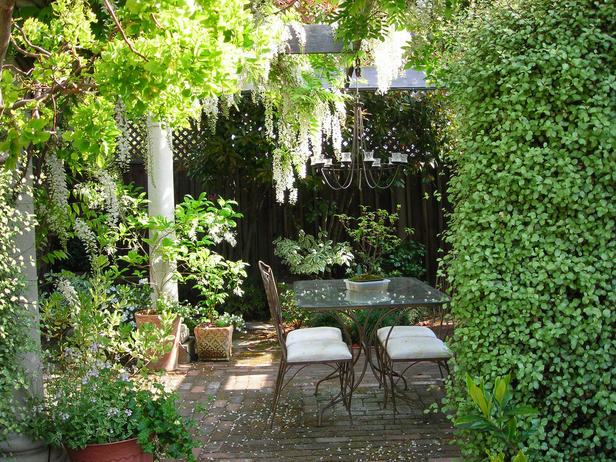 This relaxing outdoor space will certainly bring us some peace and quiet moments that's truly invigorating! oh wow..i wish we could put this up on our terrace. hope winter comes early this year. summer is killing all our outdoor plants. Great looking space! We just added two patios to our house. And so far we are loving the added outdoor space! Next we just have to look for more furniture to go along with it.